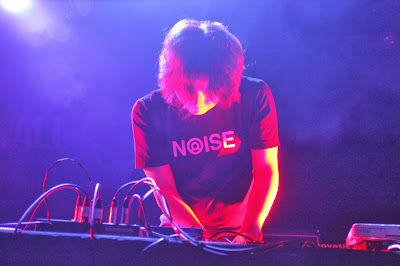 Fujui Wang, Head of the Trans-Sonic Lab in center for art and techology of Taipei National University of the Arts, specializes in sound Art and Interactive Art. Fujui Wang is the a pioneer of Sound Art in Taiwan, who established the first experimental sound zine/label NOISE/Taiwan in 1993. In 2000 Wang joined ETAT and initiated BIAS Sound Art Exhibition and Sound Art Prize in the Digital Art Awards Taipei. His arts activities contribute to enhancing Sound Art as a new genre in Taiwan's art scene. He has curated The Digital Art Festival Taipei and "TranSonic" sound art festival. Fujui Wang has been dedicated to making and promoting Sound Art and Digital Art creativity for more than a decade. Collects all kinds of electromagnetic wave sounds as source material. At the same time through the characteristics of directional and wide speakers, he combines them with electronic chip sounds by improvisational electromagnetic disturbance to fill the space with scattering and shadowy electronic sounds.